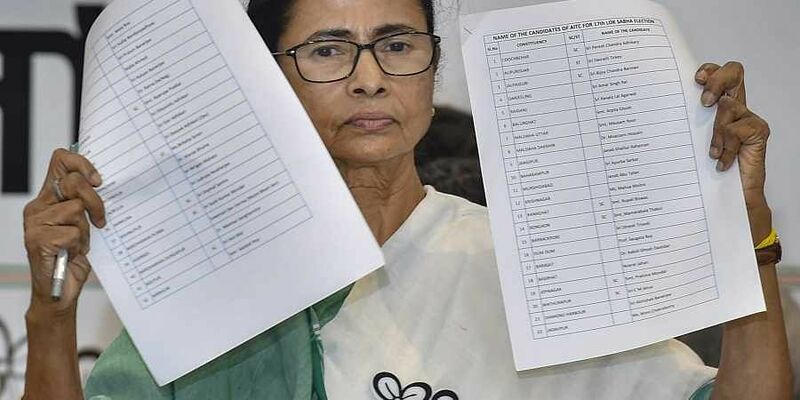 KOLKATA: As the Bharatiya Janata Party (BJP) tries to woo influential Trinamool Congress leaders, Mamata Banerjee’s party has issued a diktat to its 3,500 councillors — across 126 civic bodies — to ensure that majority of the votes in their respective wards go to the TMC Lok Sabha candidate or forget nomination in the upcoming civic polls. The diktat, by Kolkata Mayor and Municipal Affairs and Urban Development Minister Firhad Hakim, has set in motion a flurry of activities among TMC councillors. Some have started mural painting, door-to-door campaigning with the LS candidate and also started the formation of booth committees and selection of polling agents. The message to the TMC councillors is clear — strengthen the election machinery at the grassroots level. Around 18 civic bodies, including Howrah, Burdwan, Diamond Harbour and Baharampur, will go to the polls a few months after the conclusion of the Lok Sabha polls. Around 82 civic bodies, including Kolkata, Salt Lake, Barasat, Barrackpore and Dumdum, will go to elections in May next year. The performance at the Lok Sabha elections, where the party is facing a tough challenge from the BJP, will become the parameter for nomination for the civic polls, party sources said. Apart from councillors, elected panchayat representatives have also been issued the same diktat.